Nairn 2 Thermostatic Square Head Rain Mixer Shower Valve & Kit is rated 4.2 out of 5 by 13. Rated 5 out of 5 by Charlie12 from Excellent hot shower. 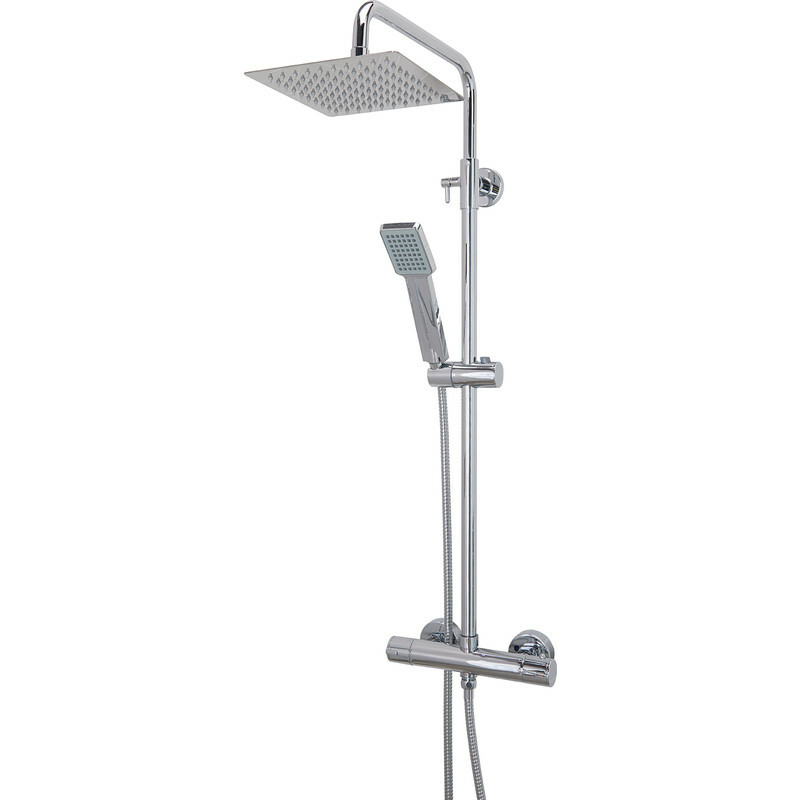 Good looking shower with ease of use ,changing from overhead to hand shower. One of the best showers we have had for a few years.It replaced our older one with ease because of standard size fittings . Rated 2 out of 5 by 09th987 from poor operation I fitted this as a replacement, the finish quality is ok but i have problems with the mixer valve which would sometimes not let any water through. Toolstation replaced the valve and it now seems ok, but time will tell. Rated 5 out of 5 by jayjayz from excellent thermostatic mixer shower I bought this as a replacement to my old mixer shower which had become temperamental. as a straight replacement. had the precious person installed the a shower plate I would have had this fitted in under 30 mins. any way about the shower I was first surprised how easy the shower head moves up and down with out any leaking which is great for us all as the kids like it lower down. build quality is excellent. temperature control is very easy. the makings on the dials can be hard to in certain light. overall really good value for money.